The Dollar Photo Club has clearly raised the bar when it comes to cheap stock images. By offering high quality images for only one dollar, it has won many members against some stock photo websites. It is such sad news that the stock site is finally closing its doors to the creative community. Fortunately, we at Stock Photo Secrets have the perfect Dollar Photo Club alternative, which offers the same kind of product for fairly the same price. Image Collection. The Dollar Photo Club has over 25 million stock images in its collection, with over 100,000 new images added every week. 99 has 4 million high quality images in its library, with 60,000 to 80,000 added every month. However, you must take note that the latter is new to the industry. Give it time to grow because that is what it is actually doing – growing consistently. High quality, royalty-free images. The Dollar Photo Club and 99 Club both offers high quality, royalty-free images which means you can use these images in any project for as long as you like. Also, they both offer images that do not expire, along with the necessary releases for commercial and non-commercial usage. Moreover, they all come in small, medium and XXL, giving you the opportunity to choose whichever suits your creative projects. The Dollar Photo Club offers images for one dollar each, while the 99 Club offers them for $0.99 per image. Both have annual memberships of $99 but differ in the number of downloads. The former offer 99 images for $99, while the former offer 200 – which is more than twice the image downloads of the other. Straightforward, exclusive pricing. While these stock photo websites have slightly different prices, they both offer exclusive and straightforward pricing for their members. Both offer high quality images at a straightforward price, so no additional fees will be paid down the road. On the other hand, 99 Club has no auto-renew feature as opposed to the Dollar Photo Club’s subscription. As a creative professional, it is crucial for you to find a Dollar Photo Club alternative that gives value for your money. While there are a number of stock photo websites in the market, simply not all of them offer the same type of experience you loved about your soon-to-be former image source. However, there is one that is worthy of your time and money. 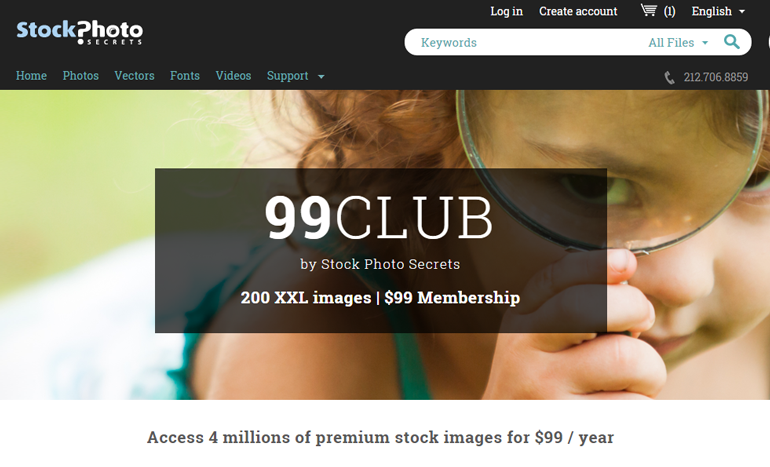 99 Club by Stock Photo Secrets has everything you like about the Dollar Photo Club, particularly high quality and affordability. Stock Photo Site to Watch: Whats Adobe Stock?